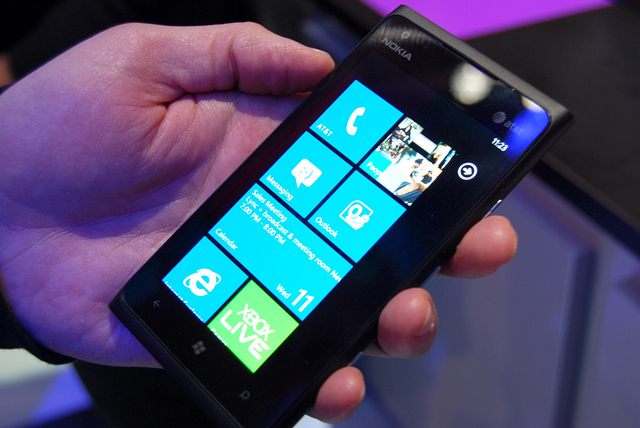 Lumia 900, the famous smartphone released on april which is available at the price tag of $99.99. It is the most famous affordable phone that launches recently. It is completely packed with the innovation to make your life better and easier. Nokia Lumia 900 is built with a perfect eye popping unibody design which sets the new way for all the smartphone styles. It is building in a way of more responsive and intuitive with very fast network access. 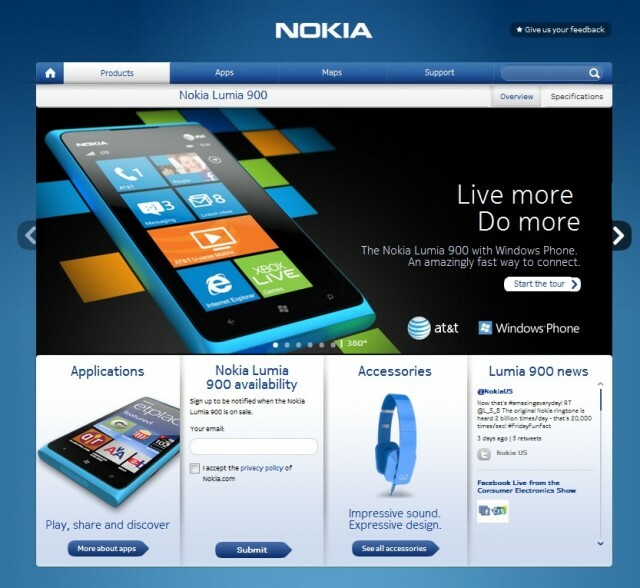 Nokia Lumia 900 provides the customers a very fast internet browsing and also with better video stream. This perfect smartphone is build with the stylish 127.8mm tall and 68.5mm wide slab, and at 11.5mm thick, and weighs 160 g, which draws the attractions of the customers and considered one of the best looking smartphones out there. It the appearance of the mobile looks stylish and it is covered with classy frame which is made of polycarbonate. It will make you to feel pleased while holding it on your hands. It is framed with the Corning Gorilla Glass which protects you mobile from day to day scratches and makes you to get free from worrying about the scratches. It is available in the colors such as black and striking blue. 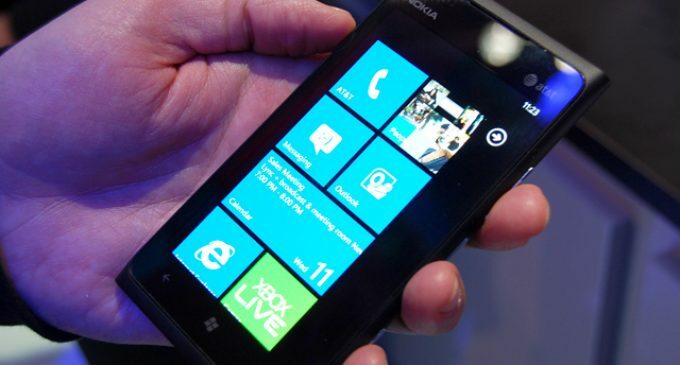 The display size of the Nokia Lumia 900 is offered with 4.3 inch with WVGA (800 x 480) display resolution. It is provided with orientation sensor and it is very easy to clean up. It has featured with the AMOLED capacitive display touch screen technology and Accelerometer, Proximity sensor, Gyroscope, Magnetometer sensors. Nokia Lumia 900 is the popular smartphone which is equipped with a camera of 41 mega pixel. The main camera sensor is offered with 8 MP with the resolution of 3248 x 2448 pixels and the camera focal length is 28 mm with Dual LED flash. The other attractive feature in the camera is that it is also provided Touch focus, Auto and manual exposure, Auto and manual white balance, Geo tagging and some of the other interesting features. It offers you a perfect snap with clear picture clarity with Panorama, Still, Self-timer as image capture mode. You can also find the secondary camera with 1280 x 720 pixels resolutions and other functions line video recording, still image capture and so on. It runs on the Windows Phone 7.5 Mango operating system as a result, the Lumia 900 can perform every software task that other Windows Phones do, too. The chipset of the phone is Qualcomm APQ8055 Snapdragon. The Nokia Lumia 900 has comes with a modest 16GB of storage, which will suffice for most needs you require. It has 512 MB ​​of RAM, a Qualcomm processor clocked at 1.4 GHz and a 4.3 inch AMOLED screen. It is featured with Non-removable Li-Ion 1830 mAh battery (BP-6EW). The stand by time is up to 300 hours and maximum music playback time is up to 60 hours. So don’t worry of the charge port as you can go far for your journey. It is highly recommended to those who are in search of the perfect smartphone with the advanced featured. Try it out! Good luck.